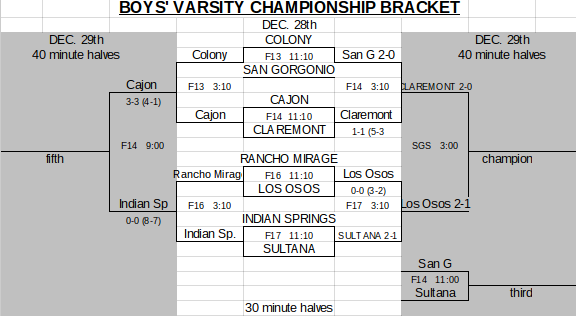 OK, I went 2-1 last week, correctly picking the Aquinas and San Gorgonio games, and missing the Silverado game. So, for the season, I’m 191-75-1 picking winners, with 8 margins exactly right and 1 score exactly right. I think the San G defense will again play well and no last-minute San G heroics will be necessary. Above are 4th quarter and OT highlights of San Gorgonio’s first CIF-SS football championship. The Spartans also made the finals in 1989, before losing to Fontana at Anaheim Stadium. San Gorgonio turned the ball over 4 times (one interception, three fumbles), but Norte Vista turned it over 5 times (one interception, four fumbles), including a huge one in OT. San G trailed 21-13 after Norte Vista scored with 3:18 left. It looked like another Spartan drive would be derailed by a turnover or penalty when holding on the first play negated a long pass play, making it first and 20. But on second and 17, a pass interference call made it a much more manageable second and 2. A 15-yard facemask penalty also aided the drive which was completed without the Spartans facing a single third down. Norte Vista: Eric Melesio 54-259, Adam Garcia 2-29, Isaiah Hughes 3-12, Martin Solano 4-9, Omar Godoy 2-5. San Gorgonio: Kaleb Hayes 20-131, Xzavier Leslie 9-49, Dezhon Williams 3-(minus 2), Tyreque Jones 2-(minus 3). Passing: Norte Vista: Isaiah Hughes 0-1-1 0. San Gorgonio: Kaleb Hayes 8-13-1 135. Receiving: Norte Vista: none. San Gorgonio: Larenzo McMillan 3-64, Tyreque Jones 2-39, Jerome Weber 1-26, Perrion Ofori 1-3, Dezhon Williams 1-13. I may have missed a few, but I had Norte Vista with 8 penalties for 94 yards. San Gorgonio 14 for 99. Claremont 2, San Gorgonio 0 >> The Spartans (7-3-2) were shutout by the Wolfpack (7-3-1) in the semifinals of the San Gorgonio Tournament. Patriot 1, Redlands 0 >> Goalkeeper Quentin Gray had three saves in the first half for the Terriers in the San Gorgonio Tournament loss against the Warriors. Grant Ganther had two saves as the Terriers’ goalkeeper in the second half. Redlands 1 (5), Arroyo Valley 1 (4) >> Adrian Rominu scored the lone goal for the Terriers (3-8-2) in regulation. The Terriers advanced after penalty kicks against the Hawks. Redlands will play at 9 a.m. today against an opponent yet to be determined in tournament play. San Gorgonio 2, Colony 0 >> Victor Valadez and Abraham Martinez scored a goal for the Spartans in the victory over the Titans (4-0-1) in the quarterfinals of the San Gorgonio Tournament. Goalkeeper Sergio Lopez had four saves in the win. San Gorgonio football coach Ron Gueringer had more on his mind this week than his team’s San Andreas League first-place showdown with Jurupa Hills. Gueringer’s mother, Ann Gueringer, 79, died on Tuesday from cancer, Gueringer said. He missed practice Tuesday and Wednesday but returned to the team and was coaching on Friday when his team defeated Jurupa Hills, 41-20 to clinch at least a share of the league title. “I want to thank (assistants) John Botello and Eric Rodriguez and all my assistant coaches for holding it together,” Gueringer said. I talked to some San Gorgonio players (I didn’t do video because music was playing) who watched Azusa Pacific’s scrimmage held at San G. and they were very impressed, as you can read in my story about the scrimmage. Think about it. NCAA Division II football in Southern California wouldn’t exist if it weren’t for APU. The next closest Div. II school in California is Humboldt State, which if you know where that is, isn’t that close at all. This is the 3rd straight year scrimmaging in the Inland Empire and coach Victor Santa Cruz thinks it really helps in recruiting. Interested in what NCAA Division II football is about but you don’t want to leave San Bernardino County? Then San Gorgonio is the place to be, Aug. 20 at 6 p.m. The Spartans’ stadium will be the site of an Azusa Pacific University football scrimmage at that time. Yes, UCLA football has been practicing in San Bernardino, but playing for the Bruins is not a attainable reality for 99 percent of high school football players. Division II Azusa Pacific, however, is more attainable. Coach Ron Gueringer sees many advantages to the event. APU was looking to showcase their football team outside of their home in Azusa, and Gueringer not only wants people to see the school’s quality athletic facilities, but also show them another option for college. San Gorgonio baseball coach Bill Eatinger talks about beating Jurupa Hills earlier this season. Hall of Fame? Bill Eatinger never thought his name would be mentioned in the same sentence. 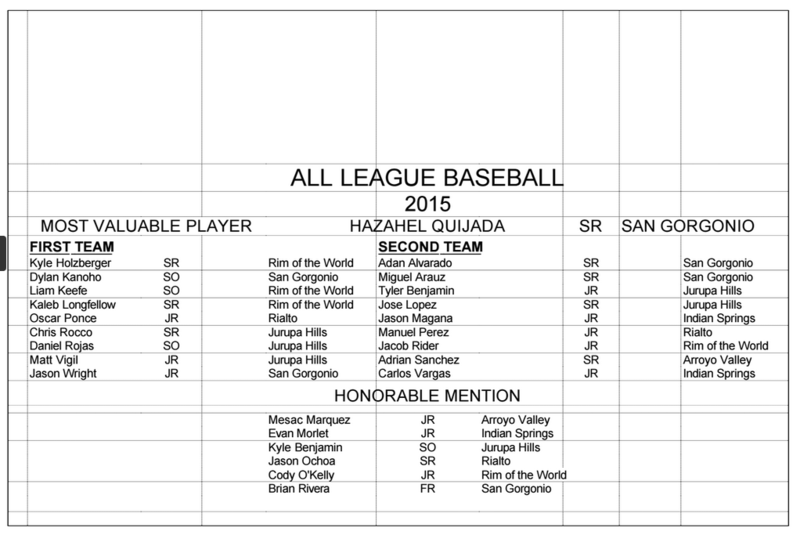 But the long-time San Gorgonio High baseball coach has been inducted into the California Baseball Coaches Association Hall of Fame. Eatinger, a head coach for 24 years including the last 19 at San Gorgonio, got some support from a veteran coach, former Redlands East Valley coach Steve Hernandez. “Steve Hernandez nominated me and that was quite a nomination,” Eatinger said. Eatinger was told what some of the factors were in his nomination. 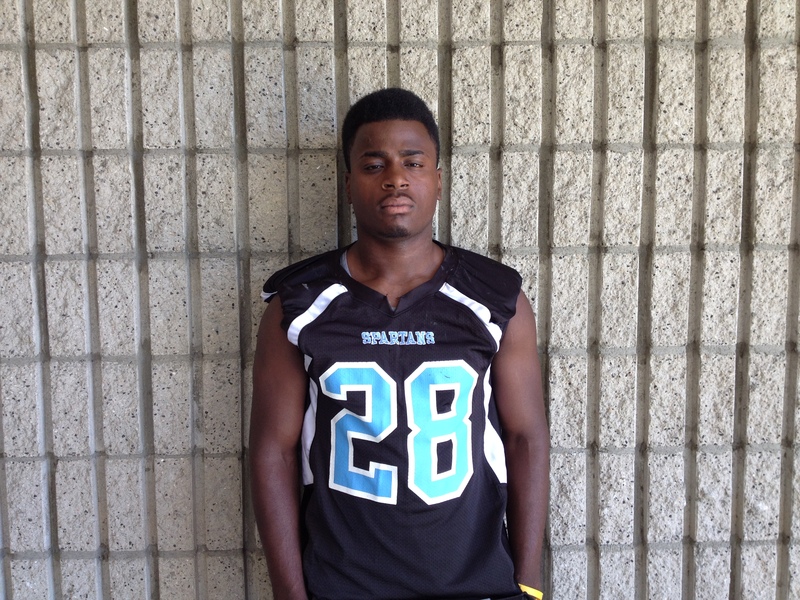 It’s amazing that it took this long for San Gorgonio’s Wesley Hill (who just graduated this spring) to get a concrete offer. Now he’s had a second, and changed his commitment. Congrats to him. Initially, he appeared to find his college home, making a verbal commitment to Texas-El Paso less than three weeks ago. Apparently as soon as that happened, Fresno State increased its pursuit of Hill and now Hill has changed his mind and will be going to Fresno State. UNLV, Montana state and Washington State were among the schools that had been talking to Hill. Last year, Hill rushed for 760 yards and nine touchdowns, while also catching 12 passes and scoring three more touchdowns. On defense, he had 52 total tackles, including 10 for loss and had three sacks, an interception and a fumble recovery. Above, San Gorgonio senior Jason Wright talks. He was the winning pitcher in relief and it was his hit, coupled with a throwing error, that scored the winning run with one out in the bottom of the seventh. Above, San Gorgonio coach Bill Eatinger talks about the win.